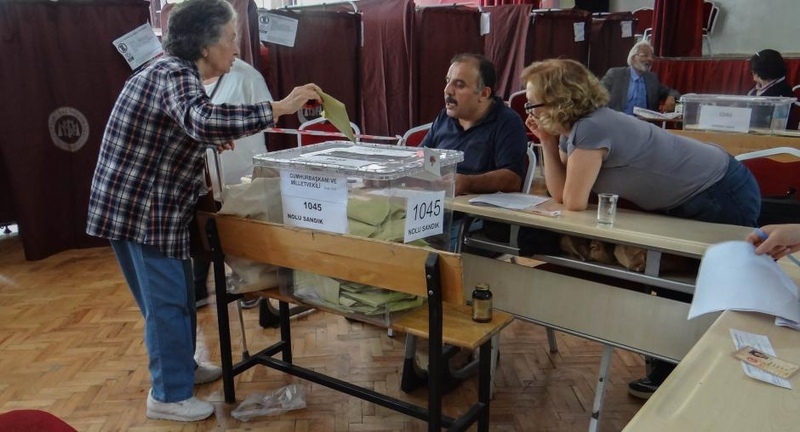 AKIPRESS.COM - Voters had a genuine choice in the 24 June early presidential and parliamentary elections in Turkey, but the conditions for campaigning were not equal, with the incumbent president and ruling party enjoying an undue advantage, including in excessive coverage by government-affiliated public and private media outlets, OSCE said citing the international observers' preliminary statement. The restrictive legal framework and powers granted under the ongoing state of emergency restricted the freedoms of assembly and expression, including in the media. Nonetheless, citizens demonstrated their commitment to democracy by participating in large numbers in campaign rallies and on election day, the observers said. Election day procedures were generally followed, although important legally prescribed steps were often omitted during the counting and tabulation of ballots. Six presidential candidates – one woman and five men – including the incumbent, ran for president and the Supreme Board of Elections (SBE) registered eight parties to contest the parliamentary elections. The campaign was vibrant and took place in a highly polarized political environment; contestants campaigned by various means; and social media were an important tool to reach younger voters and to overcome campaign restrictions. There were a number of attacks and disruptions of campaign activities, mostly against the People’s Democratic Party (HDP), whose presidential candidate remained in pre-trial detention and could not campaign freely. The misuse of state resources by the ruling party contradicted the separation between state and party, the statement says. A restrictive legal framework hinders media freedom and induces self-censorship, and the state of emergency has been used to further limit this freedom. Most popular broadcast media outlets are seen as affiliated with the government, something reflected in the campaign coverage, the observers said. The ruling party and the incumbent were covered by these more often and more favourably, including by the public broadcaster, limiting the balanced information about the contestants available to voters. The statement says that fundamental rights and freedoms are not fully guaranteed by the Constitution and laws, and the freedoms of assembly and expression are further restricted in practice, particularly as a result of decisions by provincial governors under the state of emergency. Key amendments to election laws, perceived as favouring the ruling party, were introduced shortly before the elections, and without consultation. Some of the amendments weakened important safeguards by replacing political party representatives with civil servants as chairpersons of the ballot box committees (BBCs), by allowing the relocation of polling stations on security grounds, by increasing the authority of law enforcement personnel at polling stations, and by ruling that ballots missing important safeguard stamps would still be valid. The Constitutional Court dismissed the main opposition party’s challenge to the amendments. The changes also legalized election coalitions. Positively, independent presidential candidates were allowed for the first time, in line with previous recommendations. Technical preparations were generally administered in an efficient manner. BBC chairpersons, however, were not always chosen by lottery, as prescribed by law, which raised concerns about their impartiality. At least 1,090 polling stations were moved and merged based on security considerations, which was seen by the opposition as a measure aiming to lower voter turnout in specific areas. Sessions of election boards at all levels were closed and decisions were not published in a systematic or timely manner. These decisions and the lack of transparency eroded confidence in the election administration at all levels, the observers said. The majority of complaints received by the SBE concerned its own decisions, and most were rejected. The few campaign-related complaints received by the SBE were denied consideration on technical grounds. Women remain underrepresented in political life. While the Constitution guarantees gender equality, there are no special legal obligations for the parties to nominate women candidates. Positively, some parties implemented gender quotas. Some 20.5 per cent of candidates on party lists were female. The law does not establish rights for non-party citizen observers and does not provide for international observation. Two potential members of the delegation of the OSCE Parliamentary Assembly were precluded from participating as observers. Civil society groups, however, were actively involved, and some conducted parallel voter tabulation on election day. As in previous elections and due to legal constraints, their representatives had to either register on behalf of political parties or candidates, or to observe the counting as ordinary citizens. The international observers faced some restrictions during observation, and their negative assessments were frequently linked to the presence of unauthorized people, often police, who sometimes interfered in the process.